over 75 personnel, ranking us among the top 25 CPA firms in Minnesota. CDS has offices in Willmar, Benson, Morris, Litchfield and St. Cloud-Sartell. We offer a full range of accounting, tax, auditing, payroll and consulting services designed to meet the specific needs of our clients. 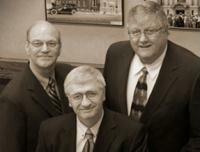 Our corporate office is located downtown Willmar across from Rice Memorial Hospital on 3rd Street Southwest.